Inside Llewyn Davis (that sounds incredibly rude! Pack it up. Come on, we’re better than that). Well . . . a mixed bag of sorts. Great cast, great performances, good songs but a somewhat slackening pace and a journey that gets incredibly bleak and downbeat with a somewhat flat ending. Not the Coens worst, but certainly not their best. Looking back at the Coen Brothers’ filmography, I can’t help but feel how their films come off as marmite to me. At their best, we have the Big Lebowski, Fargo, Raising Arizona, Blood Simple, No Country for Old Men (after numerous viewings for a dissertation on contemporary noir, it went from meh to brilliant). At their worst, Burn After Reading and the shambolic Ealing classic remake the Ladykillers. Inside Llewyn Davis is somewhat in the middle of these two categories. The cast cannot be faltered. The pair have found a leading man in Oscar Isaac as Llewyn. To be honest, I hadn’t heard of the chap. I had to IMDb him. Turns out, he played supporting roles in Robin Hood, Sucker Punch and Drive. Well, I’ll keep tabs on him now and expect to see him in more movies after this performance. He provided much depth and brought a likeable if conflicted and flawed protagonist to life. The things that irritates and always surrounds the Coens films is the needless hype. After the uproar at their omission from most of the “important” categories of the Oscars, I expected much more from this. I believe Isaac should have got a nod for Best Actor. His singing was fantastic as well. 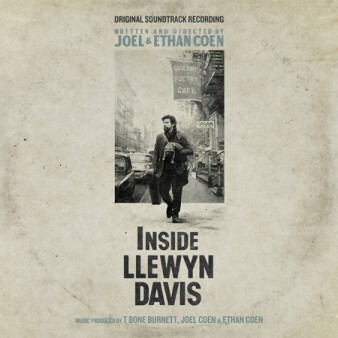 We follow struggling folk singer Llewyn Davis as he battles the wintery conditions of the Greenwich village scene as he tries to get his music out there, despite having no money, no home and no coat. The Coens provide their usual checklist light hearted humour and the first hour blazes along quite nicely, with the aid of a great cast of supporting characters, including the likes of the erratic Carey Mulligan and Justin Timberlake. Hardly need to say much about JT’s singing, after all, it is his profession (He nails it). I was surprised at how good Mulligan was. You could argue that their characters don’t have enough screen time but when they do, they all excel. The humourous episode with Llewyn being stuck with a ginger cat and the numerous attempts to capture it were a nice aside. The songs are memorable and sung well. It turns out most of the folk songs were sung live. If any were mimed, then either the sound editing and dubbing was executed perfectly or Mr Timberlake may too good a mime artist, but I digress. It does help to enjoy or be fan of folk music. Fare Thee Well, Hang Me, Oh Hang Me and the annoyingly catchy Please Mr Kennedy were the stand out ones for me. Please Mr Kennedy may have been a deliberate jab at the stupidity of jingles and catchy songs just to get a hit but it is a good song in itself. The film is hardly original in it’s telling of one man’s journey trying to get a break. If anything the Coens truly demonstrate perfectly a protagonist’s stage of nadir (the bottom of the barrel) with the road trip from hell. The movie turns and gets incredibly dark and painfully bleak (to be expected from the Coens) with the sinister scene stealing supporting turn of a Coens regular, the legend that is John Goodman as cane-tapping Roland Turner. He growls and grumbles along, milking every minute. (Unfortunately, the poor bloke has put the pounds back on. Some might be saying, did he even lose weight?). We drudge along through this bleak journey as you hope Llewyn get’s that break. He’s not completely painted as the victim. Was he a victim of the times? Or was he afraid to actually get success? Was the rut that he had been put in due to pure bad luck? Or was it down to his own accord? You feel for Llewyn when he has no coat, seeks anybody who can spot a spare couch and tries to warm his icy soaked feet under the cafe table but at the same time, you get angry for him when he gets work that is not to his ideals, he snubs it. He snaps at the only people who are helping him.